Oh interesting! The woman came up again as the overall theme so this week is for the ladies again! LOL! I get the feeling that many of us have been guarded and distant with those around us. Maybe many of us have been afraid to love. Well this week is about letting go, being more open minded and opening our hearts to those around us in order to find “true” happiness and peace ( tree/flowers+heart). Since the man card came up right next to the woman, this might be related to the males in our lives (son, father, boyfriend, husband, etc). 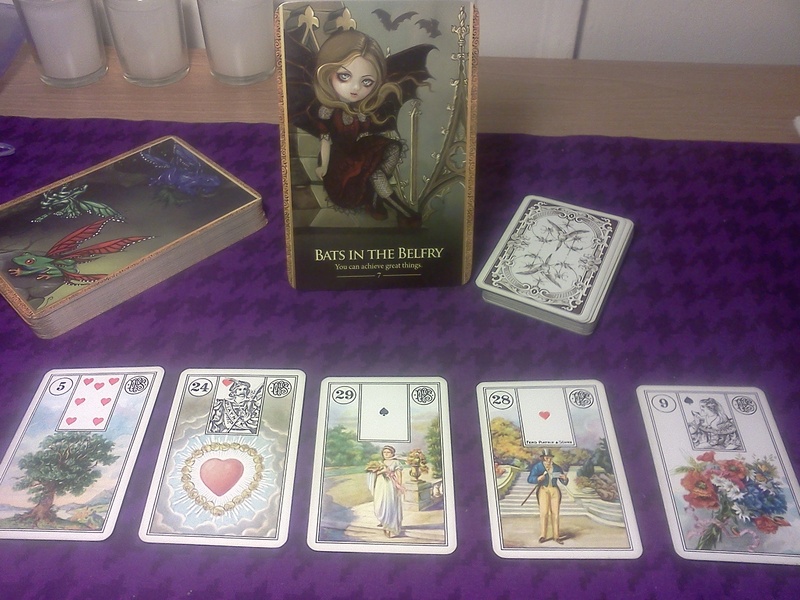 Overall, it seems many of us need to heal our relationship with them in order to feel better spiritually and have a renewed sense of freedom (tree and bats in the belfry card). Alternatively, it might be that many of us, especially women, need to get in touch with our masculine side.